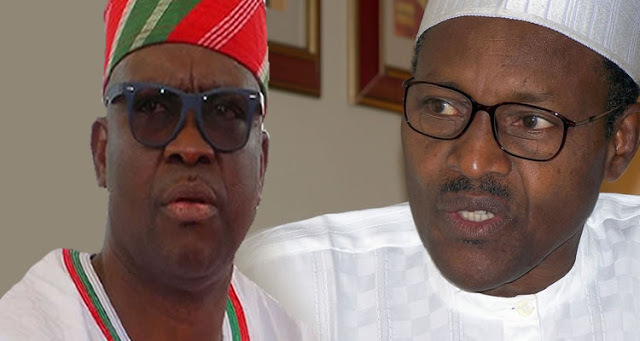 Governor Ayodele Fayose of Ekiti State has warned that any government that attempts to go against him will fall. According to him, “Poor man is suffering under the watch of Buhari. You are fighting corruption, people are hungry, is it only corruption you have come to fight? People will not eat again. Declaring amid cheers from supporters, Fayose said, “No amount of intimidation and harassment will shut my mouth, I am the voice of the common man in Nigeria. “I want to assure you, even if they are ten thousand, the Lord will raise a standard against them. Any government that rises against me, that government will fall. Mark my words, whatever I say shall come to pass. Every government, irrespective of their names, that rises against me shall fall for my sake. “My people, they said somebody bought two houses in Dubai, because he is APC, he is a saint. Somebody gave the president 1.5bn for campaign (from our state), because he is in APC, he is a saint. “I might look small, their camp may be populated by giants, I might appear little, their camp might be populated with giants, but the only stone of David killed Goliath. “There are two things that make a man to be afraid; incarceration and death, I am not afraid of the two because the Lord that protects me liveth forever. Fear not, these Egyptians we see today we shall see them no more,” he added.